Everlasto mixed fibre twisted rope - 6mm x 10m. 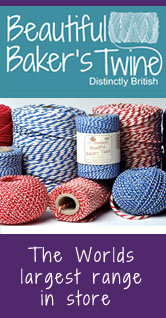 Ideal for use in upholstery, craft and decorative applicatons. A natural twisted mixed fibre rope made up of jute and cotton. Everlasto mixed fibre twisted rope - 6mm x 25m. Everlasto mixed fibre twisted rope - 6mm x 50m. 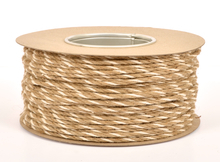 Everlasto mixed fibre twisted rope - 6mm x 100m.